You can have a full colour pvc banner of virtually any height and any length. 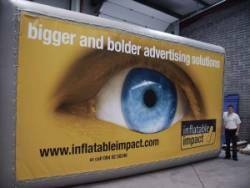 Manchester based Vistabanners.co.uk are the UK’s leading manufacturers of custom printed outdoor PVC banners are the perfect way to grab attention. These pvc banners are printed in full colour with UV inks. They’re great value for money and are made to last. All banners feature full-colour printing at 1440 dpi high resolution with a matt finish. We use eco-solvent inks which are fade and scratch-resistant. The 510gsm PVC is lightweight yet durable enough to last through the years. Banners can be fitted with nickel plated brass eyelets or pole pockets. Save 30% by purchasing 10 banners, 20% for 5 or more and 10% for 2 or more! 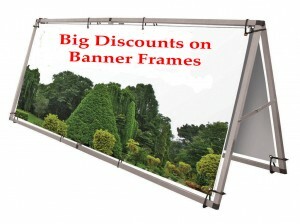 Displaying PVC/Vinyl banners outdoors in some areas can be risky. In some locations wind can cause an unwelcome sail effect on the banner and in some cases even cause the banner to tear. In other areas, like store windows or advertisements on large buildings, traditional PVC banners aren’t always the best option because they don’t let light through. In these situations, a mesh banner may be the ideal signage solution. We can make the mesh banners to your specification in most sizes right up to huge building PVC/Mesh banner wraps or to fit one of our various banner stands or frames. All our banners come completely finished with eyelets and hemmed.If you are in a high wind environment, our mesh banners are just for you. Custom printed vinyl banners, PVC, also called vinyl, is a type of plastic which is incredibly durable yet very lightweight and cheap to produce. It has numerous applications ranging from construction to clothing. It is these features which make PVC such a good choice for your banner needs.we supply large format high quality banners and large format graphics to businesses and trade clients.